This work follows an ongoing discussion on the implications of skeuomorphic vs. flat design for interface design. Therefor two subsets of the standard iOS6 and iOS7 system icons were reviewed with a semiotic inspection method and compared against each other. The subsets were chosen according to an open online user rating. 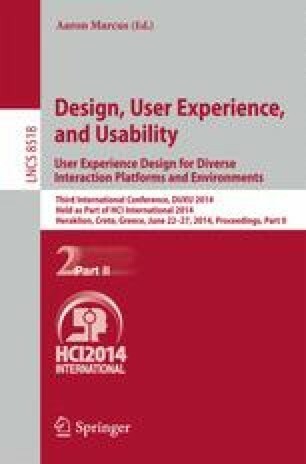 The findings suggest that missing information due to design simplification is a major issue for less user acceptance. This study shows that especially flat design affords a more careful focus on the semantics of the used elements.